Arrive 15-20 minutes early to get smocked & in your seat! If you desire more time to unwind, visit with friends & breathe before we get twisted, we invite you to arrive up to 30 minutes prior to start time! 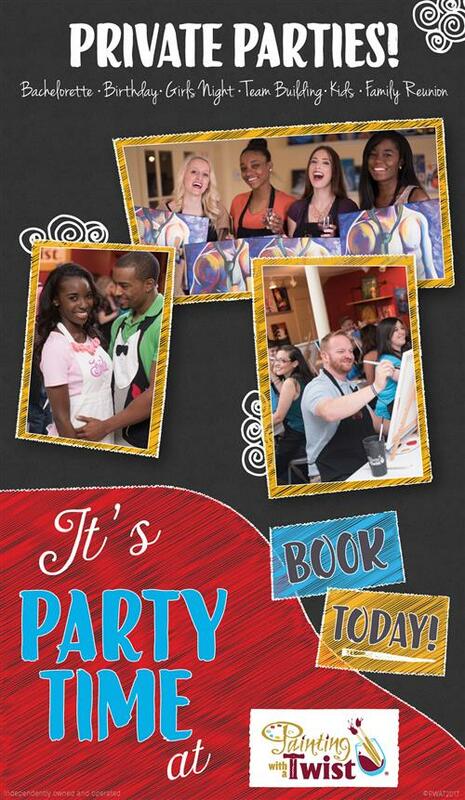 If you’re coming with others, but making reservations separately, give us your group’s name in the Special Request box. We'll seat you together! PAYMENT POLICY: Payment is due at the time of the reservation to guarantee your seat. If you choose not to pay online, please call our studio to make payment arrangements by phone (704-658-2386) or visit our studio in person for payment. Kindly give 48-hour notice of cancellation so that we may offer your spot to another customer. A refund or store credit will be issued for cancellations received more than 48 hours before the class. A store credit will be given for cancellations less than 48 hours before the class. No shows will not receive a refund or store credit. Painting with a Twist reserves the right to change the artist, postpone the class, or cancel a class for unforeseen circumstances. Classes with insufficient enrollment may be cancelled by our office. Customers will be notified in advance and refunds will be issued. PLEASE NOTE - Infants and small children are not permitted in public classes. Get notified the next time we schedule this painting! REFUND/CANCELLATION POLICY: Please note our policy to cancel applies to individuals in all public and private events. -If you notify the studio more than 48 hours from your reservation date, a refund will be issued upon request minus a 10% processing fee. -If you notify the studio 24 hours or less from your reservation date a studio credit will be issued for your use towards a future class, our Voicemail is time stamped. -If you notify the studio 2 hours or less from the class start time, no refund or credit will be issued. -Private Event Hosts follow the cancellation policy terms outlined in the Private Event Agreement signed by host. -Bad Weather: Class will cancel if a weather emergency is declared or we determine the roads to be too unsafe to travel on, otherwise our cancellation policy is as stated above. In the rare case of a class canceling due to poor weather conditions, studio credit will be issued to all registered guests. Please see our website for updates in a case of questionable weather. 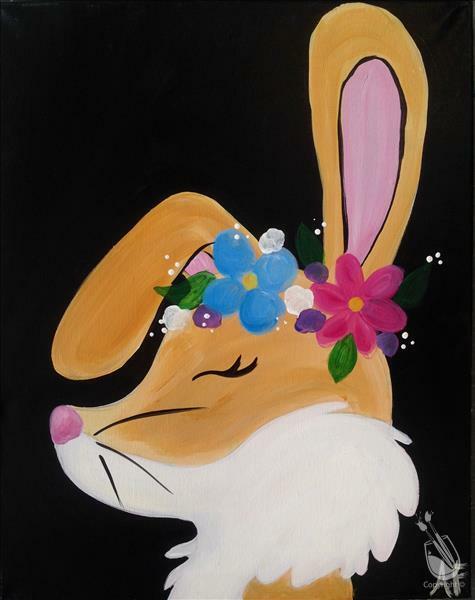 -Late Arrivals: If you arrive 15 minutes or more late you may not be allowed to paint and lose the registration fee. Please arrive no later than 10 minutes before the scheduled class time and we will have a blast! We serve wine, beer, water and soft drinks at our Inspiration Bar, you must be 21 to consume alcohol. BYOB is allowed for Wine & Beer ONLY- NO LIQUOR. Drink Responsibly. 100% ID required for ANYONE consuming alcohol. 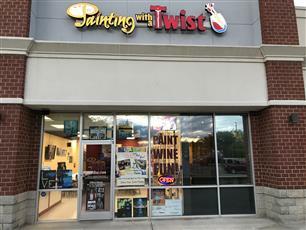 At PWAT, all classes or parties after 6pm on Sunday through Thursday after 6pm must be at least 15 years of age and accompanied by an adult if under 18. Friday and Saturday after 6pm is 18+ only. Ages 7 and older to attend our Family Day classes.